Meta Description: Pack light! Pack Wise! Here’s a guideline to Manaslu Circuit Trek Packing List. With the proper packing lists you will surely enjoy your trek to the fullest. Manaslu Circuit Trek Packing List should include all the necessary equipment and supplies. You should be able to adjust the list to the weather conditions you will trek in. 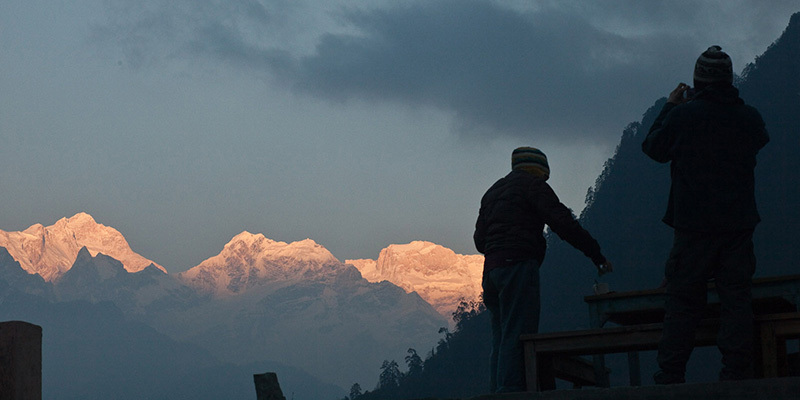 The Manaslu Circuit trek takes you from altitudes of 710m to 5210m on a single trek. Packing for such a trek can be tricky. You need to select the right clothes, gears, and equipment. All these help make your trek a comfortable and safe one. To avoid any unnecessary complication, the given list includes a detailed packing list for a Manaslu Circuit Trek. It is a recommended list. You are of course encouraged to customize it as per your needs and liking. The sun is really strong in the high altitude. You need a wide-brimmed sun hat to protect your face, neck and even your scalp. A light and easy-to-pack hat is an ideal choice for Manaslu Circuit Trek. You can use a buff as a headband, a cap, a mask, a neck gaiter, balaclava and many more. It keeps your neck warm and prevents lips from getting dry. It protects your face and neck from sun, wind, dust, and bugs. Find ones made from fabric that wicks the moisture away. A comfortable, moisture-wicking underwear is great for any trek. 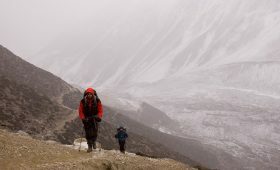 On Manaslu Circuit Trek, you have to walk for a long period of time. You don’t want an underwear that chafes your skin or retains moisture. These can lead to itching, sense of discomfort, odor. Underwear that is quick drying is an added bonus. A comfortable and moisture-wicking sports bra are ideal for treks. It provides the necessary support needed for long walks. Keep a couple of pairs of comfortable sports bras. The base layer is the first layer you wear at higher altitudes of trekking. It is the closest to your body. Hence, a warm, comfortable and moisture-wicking fabric is the way to go for these. You will be wearing them almost every day of your trek. Make sure the fabric is easy to dry and moisture wicking. It helps you remain dry and fresh throughout the trek. The fleece jacket and pants are for warmth. It acts as insulation and keeps you warm. They are great for added warmth and layer. They are comfortable and warm for the cold nights as well. For your outer jacket, you need to select one that is windproof and warm. Insulating jackets are great options as the outer layer. The weather in the high altitude is unpredictable. Having a good rain jacket protects you from the morning dew, light to heavy rain. This is a must for Manaslu Circuit Trek from June to September. These months are the monsoon months of Nepal. Make sure you have a few pairs of trekking trousers and shorts. On the lower altitude of your Manaslu Circuit Trek, it can get hot. The hiking shorts are great for these. Or there is always a choice for convertible hiking trousers. Trekking trousers come in handy during the higher altitudes. They are also great for windy days. Inner gloves are great for insulation. They provide extra warmth during cold, winter days and in the higher altitudes. These can be mittens or regular outer gloves. These protect you from the cold, wind and snow. You need ones that are waterproof and warm. You need a good pair of hiking socks to keep your leg and feet warm and toasty. Make sure the socks are moisture wicking material. These help prevent feet odor, rashes. These are great for the colder nights and the higher altitudes. These are great to keep your feet warm and comfortable. A good quality hiking boot with ankle support is essential for your Manaslu Circuit Trek. Make sure these are waterproof as well as warm. You will be walking on rough terrains. You may encounter rough weather. The right boots will help you be comfortable and provide support while walking. Make sure you get the right size and break it in before your actual trek. This ensures that the boots are comfortable enough for your Manaslu Circuit Trek. This also prevents any sense of discomfort, blisters. Trainers or trekking sandals are great to help your feet relax after the long hours of trekking. These are great to walk around the tea house, midnight bathroom breaks. These are essential for your Manaslu Circuit trek if you plan to do your trek in monsoon or winter season. The gaiters keep your boots dry from the inside. It prevents mud, pebbles, snow, leeches, mosquitoes. Duffle bags are easier to pack and unpack. If you plan to hire a porter, this is a great option. You can fit many things in it. A Backpack is more comfortable and easier to carry than duffle bags. If you are planning a solo trek or trek without a porter then a backpack is the best option. Make sure you choose a good quality, durable backpack. You will need a daypack if you hire a porter. You will be carrying this. This should be big enough to fit your essentials needed for the day. These can include water bottles, camera, extra layer, important documents, cash, mobile and so on. A backpack cover is great to keep your belongings dry and clean. Make sure you try on the cover on your filled backpack, daypack or duffle. These are essential if you are trekking during the monsoon months. These help to keep your belongings dry. You can also bring them to separate your clean clothes from the dirty ones. Dry bags are also super handy for your electronic equipment. Sleeping bags are great when you are not satisfied with the sleeping arrangements. It is also easier to warm up than the blankets provided. An easy to carry, good compact down sleeping bag is essential. Depending on the weather you trek in, you might need to change your sleeping bag. The liner provides added warmth in the higher regions. It is also easier to clean and dry. It helps in increasing the longevity of your sleeping bag. Trekking poles are great for balance and support. These are essential when making descends on the slopes. It helps in decreasing the burden from your knees and joints. An ideal choice could be lightweight and foldable trekking poles. Headlamp is great for early morning walks. It is also great for evening and night walks in and around the tea house. Not all tea houses have great lighting. Good quality crampons are essential for winter treks to Manaslu. 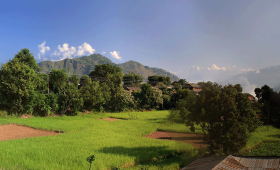 Winter months of Nepal are December, January, and February. Crampons help you to walk without slipping on ice or snow. The microspikes are a great option for light packers. They are light and have small spikes. These again help you walk on moderate ice or snow. You need these for the winter months. You will also need a good sturdy water bottle or hydration bladder. On treks such as the Manaslu Circuit trek, you will need to keep yourself hydrated. This will help make the trek comfortable and reduce the risk of high altitude sickness. There are mineral water bottles available on the trails. Yet, these are a better option. They save on your trek cost and is environmentally friendly. A good camera helps capture your memories and your journey. You can also try and capture the beautiful nature, landscape and people of the region. In the cold weather of the high altitudes, the battery discharges quickly. So, you will need a good, portable charger. These should be compatible with your electronics like camera, mobile phone, kindle. Most of the walks will take place during the day. You will have time to rest and chill in the tea houses, lodges. Books can be handy to spend your free time. Kindle is also a great option. It is portable and light to carry. You can also read them in all lightings. Make sure you have enough cash of the local currency during the trek. Most of the tea houses and cafes on the Manaslu Circuit trek will not accept credit card. Keep passport with you at all times. Do not give your passport for a keepsake at any tea house or person for safety measures. Always have a copy of your documents like passport, insurance, bookings with you. These help you with getting permits, local sim cards, bookings, checking and so on. Get an insurance for your Manaslu Circuit Trek from your home country. It is important and a great safety measure. Make sure it covers emergency rescue and evacuation. Most of the reliable and reputable tour, trekking agencies do not accept you without one. 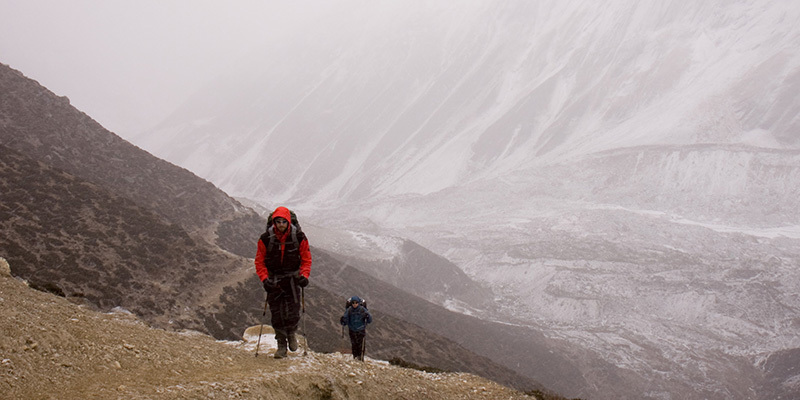 Also, make sure your insurance covers high altitude treks like the Manaslu Circuit Trek. Make sure you have an updated first aid kit. Update them with medications for ailments related to high altitude and long duration treks. Also, bring any medication recommended by your doctor. You can buy medicines easily from Nepal as well. Take your own water purification tablets, gels or steripens or lifestraw. These are great when you don’t find a reliable source of drinking water. It is also a great safety against water contamination. As mentioned above, do not buy mineral water bottles. Take your own water bottle or hydration bladder. The Isotonic powder helps provide energy during your walks. It also helps your body absorb the water you drink. You can add to your drinking water. There are flavors available. These are great and easy to dry. You don’t want your whole bag to stink because of wet towels, do you? Make sure to get the light and colorful ones. You will spot them anywhere. Finding places to pee on higher altitudes can be tricky. Pee funnel can come in handy during these times for the ladies. Wet wipes and tissues are great for an easy clean. These also come handy when there are no taps or washing stations nearby. Hand sanitizers are also a very quick and easy way to disinfect your hands when you are on the go. At higher altitudes, your lips might chap easily. So, a lip balm with SPF is great to protect your lips from the harsh wind and sun. Make sure you bring travel-size toothpaste, multi-purpose soap, shampoo. Also, pack your toothbrush. Have at least two rolls. Most toilets on the trails will not have them. So, make sure you have them. Earplugs: Helps ignore the snores, loud noises during the night. Extra pair of prescription glasses or contact lens: Prescription glasses are better suited on the high altitudes. The lens may be problematic at higher altitudes. Plastic bags: For your garbage. Travel game like chess, cards are great for leisure activities. You can buy or rent almost everything you need for your Manaslu Circuit trek in Kathmandu, Nepal. These include all your trekking equipment, supplies, and clothing. There are choices of international brands and local brands. The local brands are cheaper. You can rent all these as well. 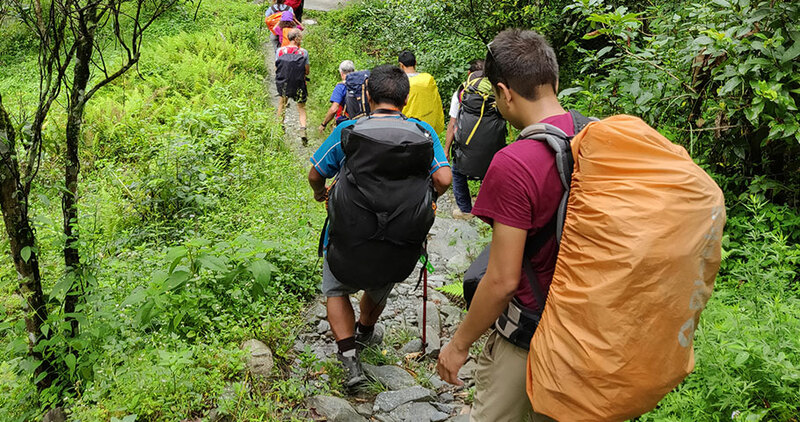 During the trek, you will either be carrying your own luggage or hiring a porter. The Nepalese government has fixed the weight that each porter can carry. For Manaslu Circuit Trek, the weight limit is 15 kg or 33 pounds. Hence, you need to pack within this weight limit or hire more porters. If carrying your own, weight is still a factor. On your trek, you will face several conditions- rough terrains, long duration walks, balance. On higher altitudes, you will feel that the luggage weighs more due to the altitude. Hence, keeping the weight at a reasonable level is important. Always remember to pack smartly. Make sure the clothing you take and wear on your trek are lightweight. Carry your toiletries in small packs. Avoid bringing unnecessary things. You do not need to bring things like expensive jewelry, heavy makeup box, hair styling products on your trek. You can do without them on the trek. It will just add an extra burden on your backpacks. There are a few ATMs on the trails of Manaslu Circuit Trek. These are not reliable at all times. Thus, make sure you have enough local currency to cover all your expenses for the trek. 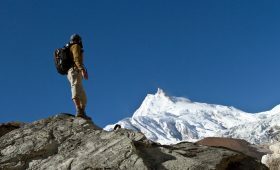 Manaslu Circuit Trek Packing list is great to make sure you have all the essential items for your trek. You can modify and customize the packing list to suit your needs and requirements. Depending on the season or weather you trek in, you may need to make changes to the list. For more information about Manaslu Circuit Trek or any other trek and tours in Nepal, feel free to contact us.